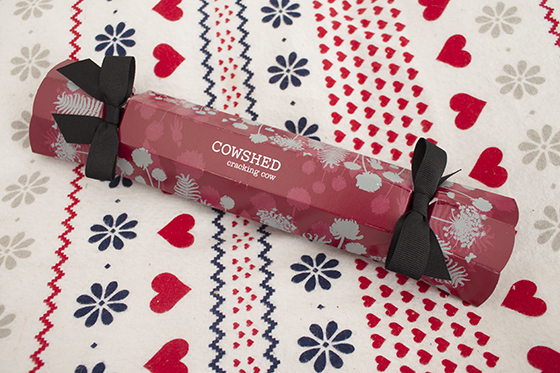 This cracker boasts two luxurious little treats from Cowshed - a 30ml Wild Cow Invigorating Bath & Shower Gel and a 30ml Knackered Cow Relaxing Body Lotion. Wild Cow Invigorating Bath & Shower Gel is is a revlitalising body wash packed full of essential oils like lemongrass, ginger and rosemary. This leaves the mind revitalised, the body fresh and sharpens the mind. Knackered Cow Relaxing Body Lotion is a herby blend of lavender and eucalyptus. This works to slow the mind down, helps you unwind and restores harmony. Combined these two are the perfect mini's to help unwind, pamper and relax. This would make a cute secret santa gift or even a stocking stuffer. 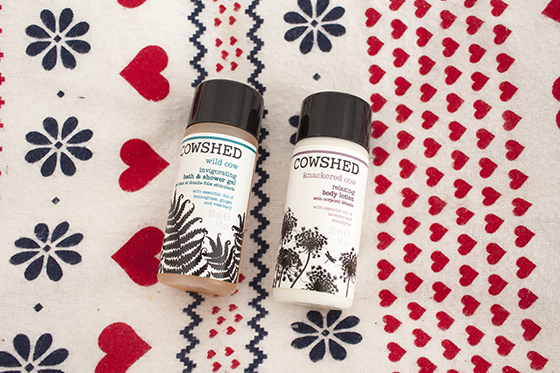 It's a nice introduction to the Cowshed brand without breaking the bank!